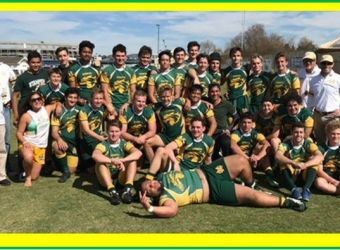 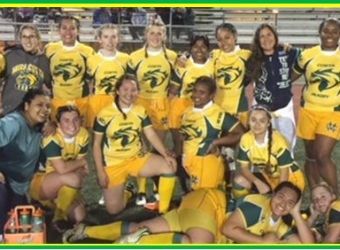 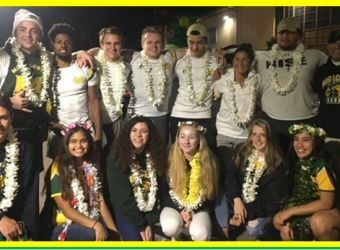 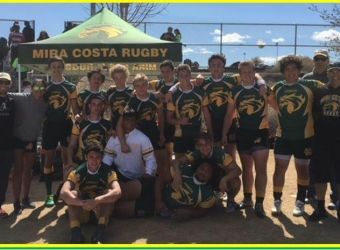 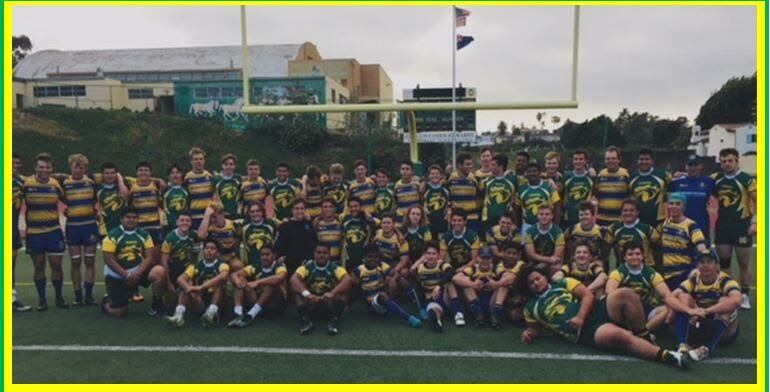 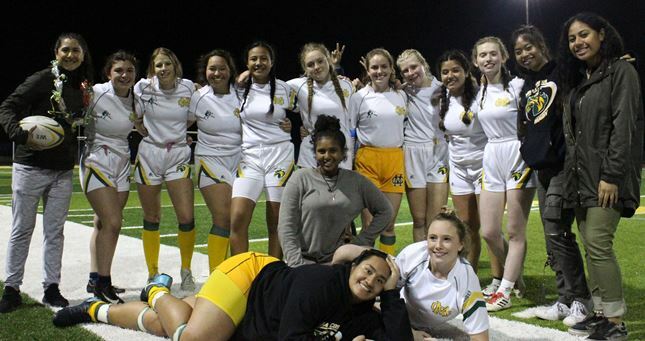 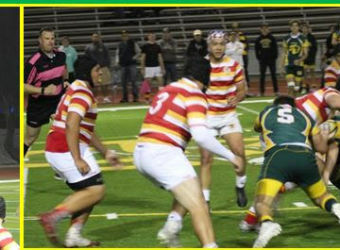 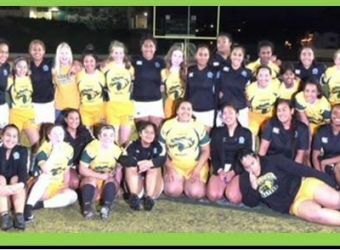 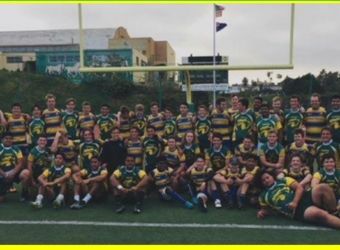 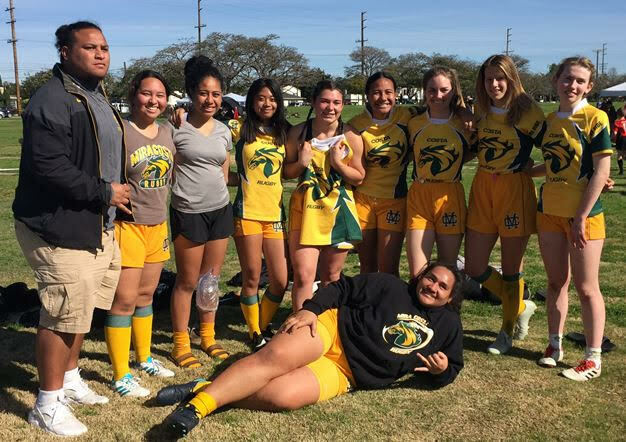 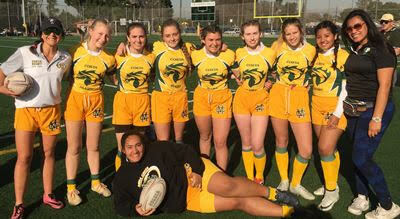 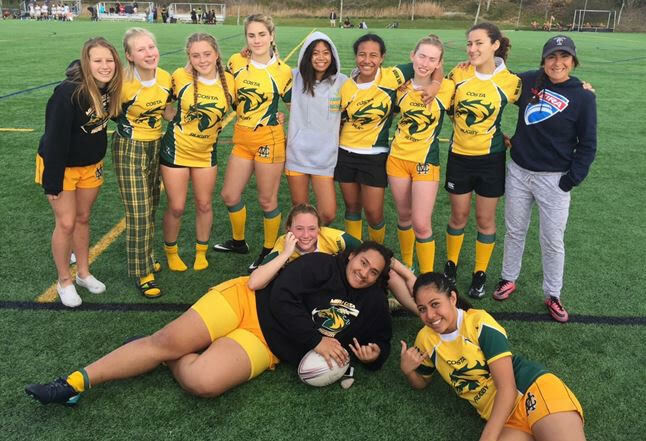 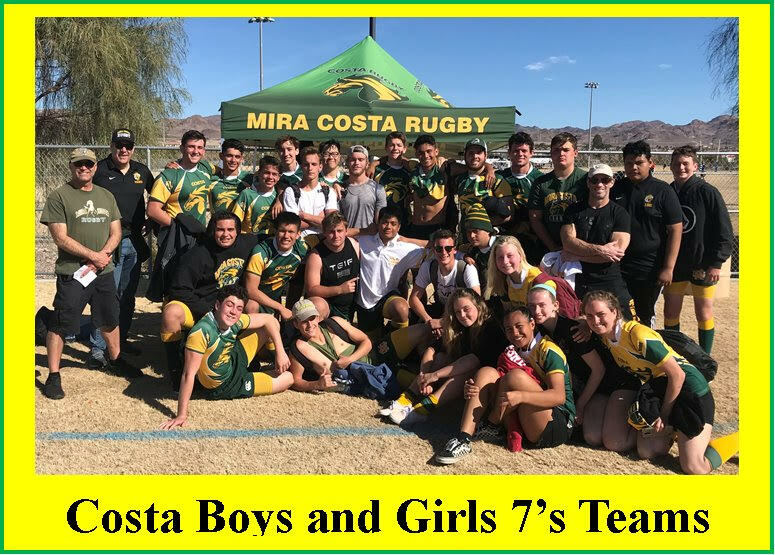 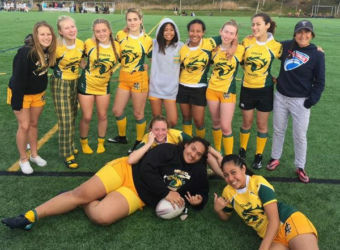 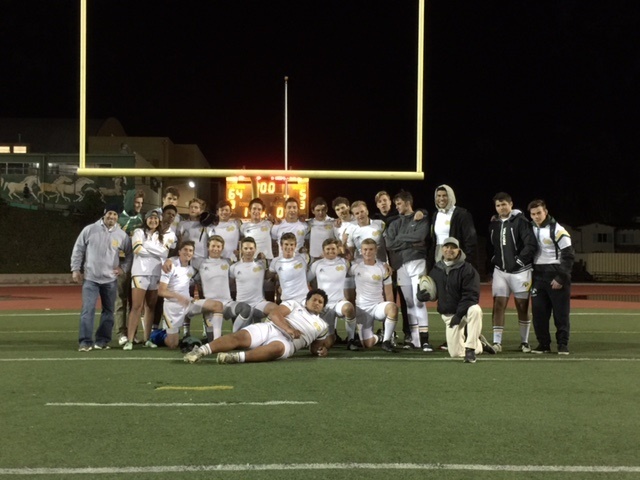 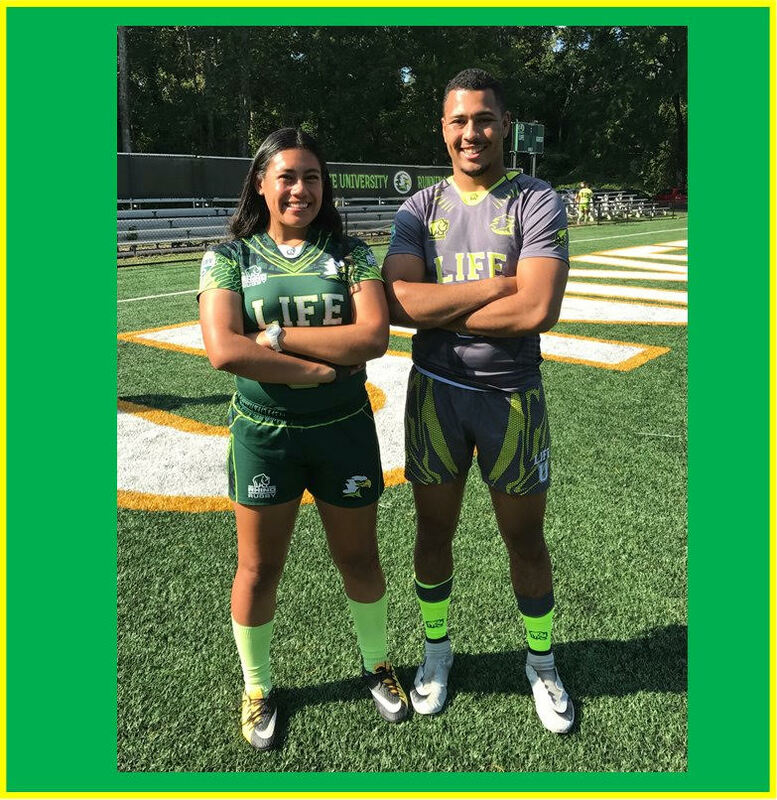 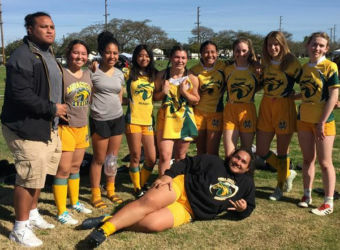 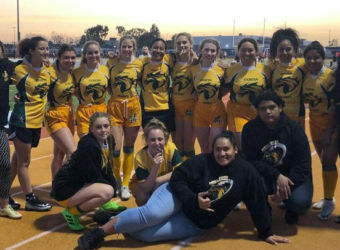 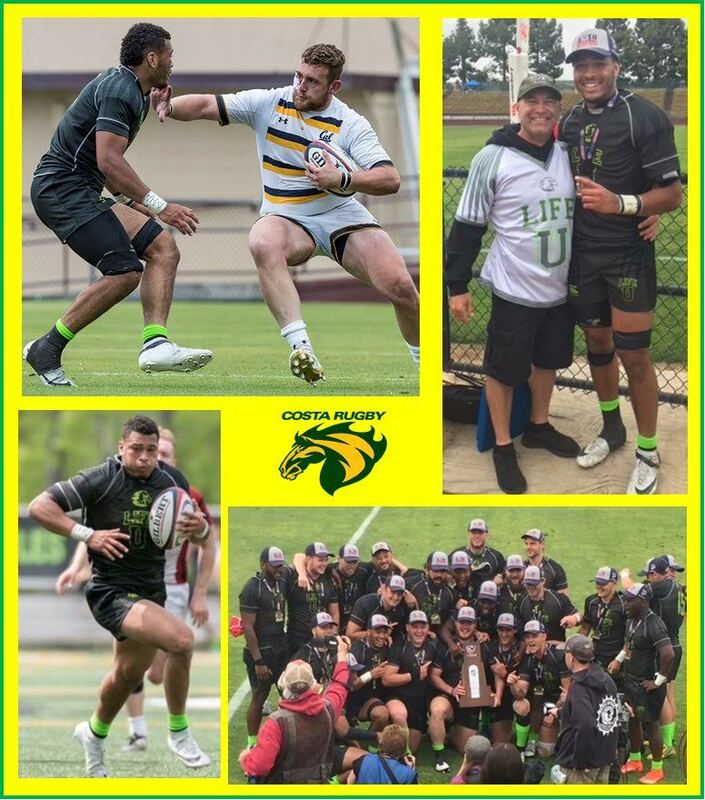 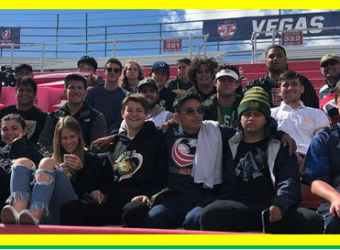 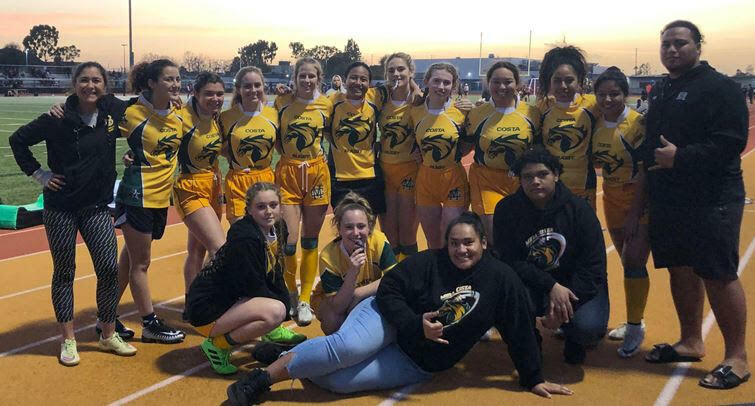 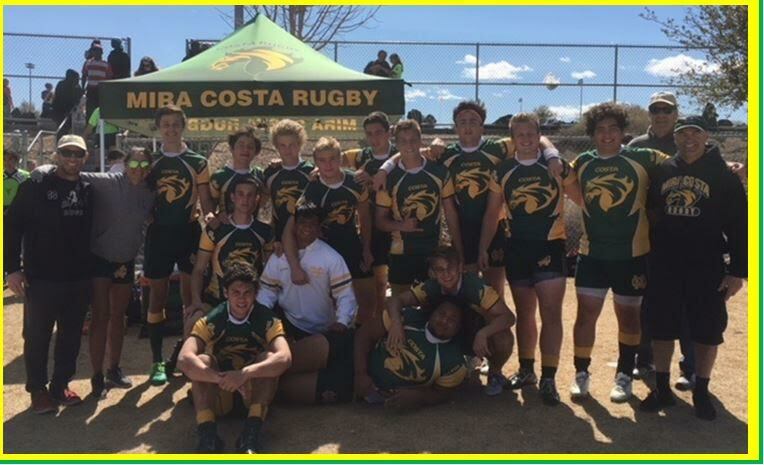 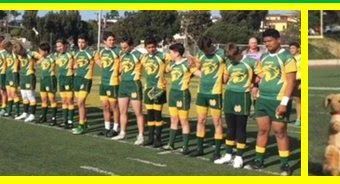 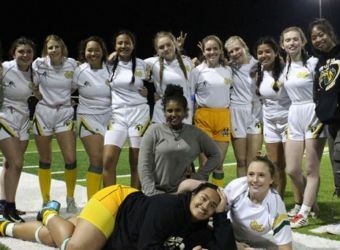 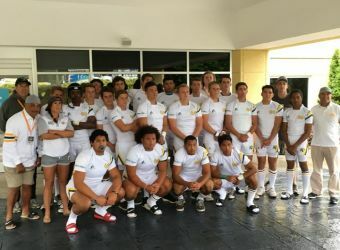 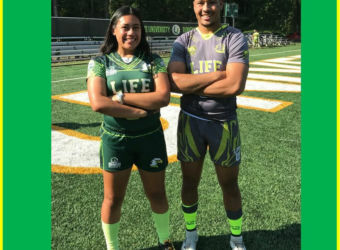 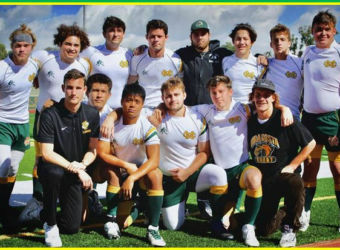 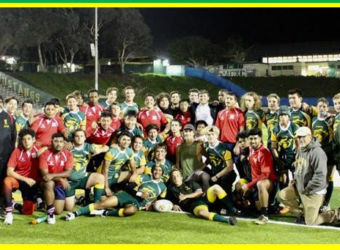 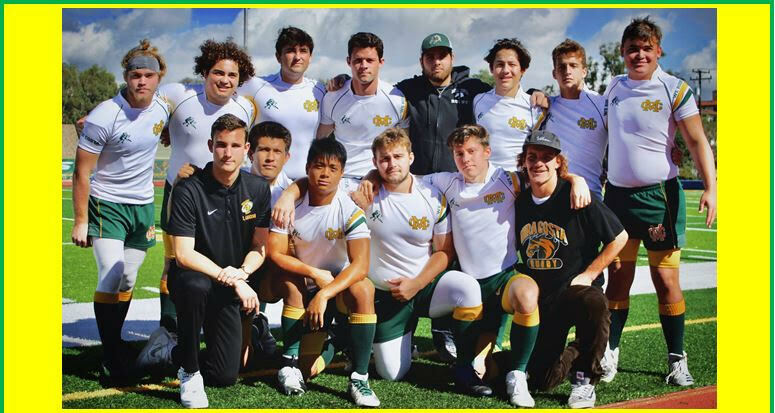 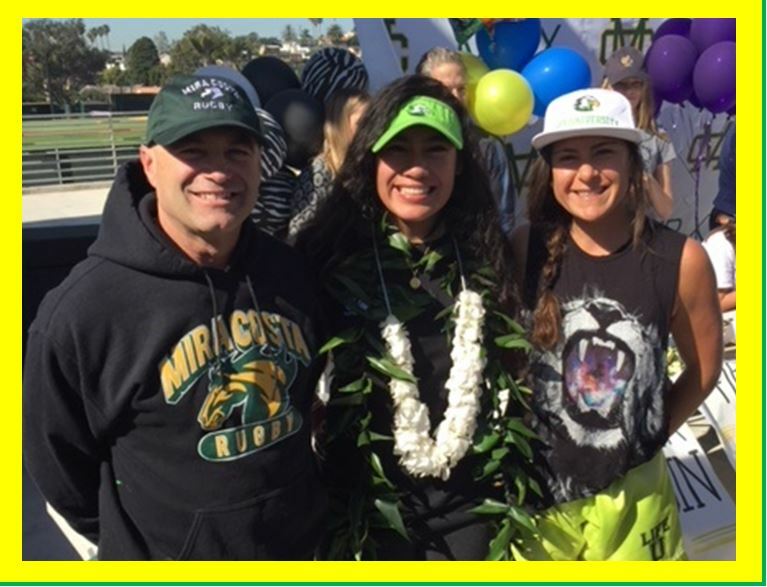 The Mira Costa Girls Rugby Team hosted the Hornets of Namaimo HS from Vancouver Island, Canada last week. 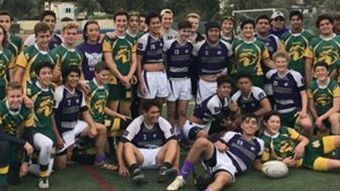 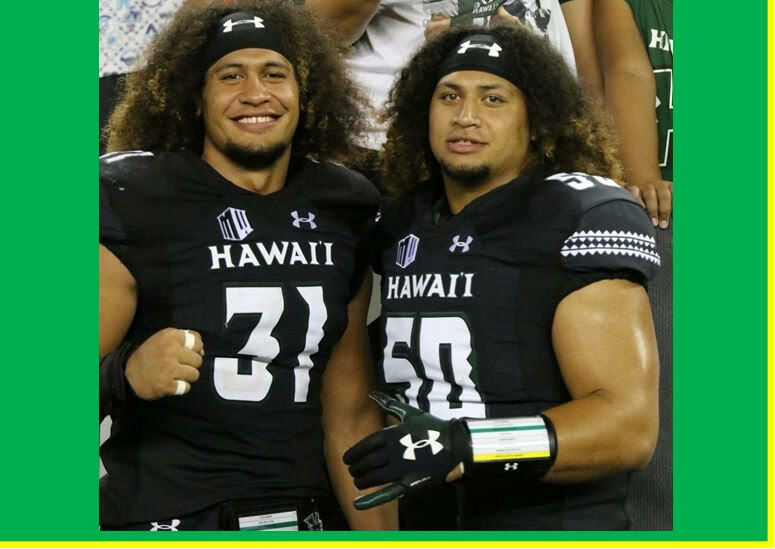 The two sides faced off in what was basically a scrimmage but treated as a game situation. 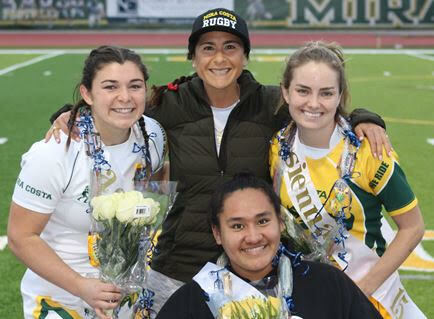 The Costa girls, despite a week of practice, were still in summer mode while the Canadians were well prepared as they open their season in the next few weeks. 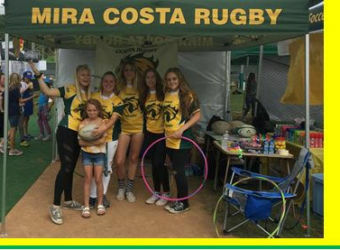 De­spite the gutsiness of the Costa Girls, nevertheless the outcome was not surprising. 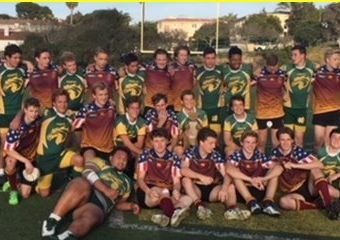 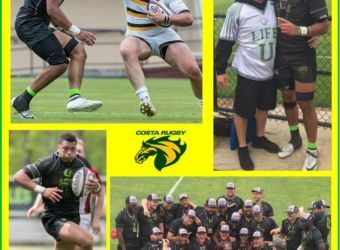 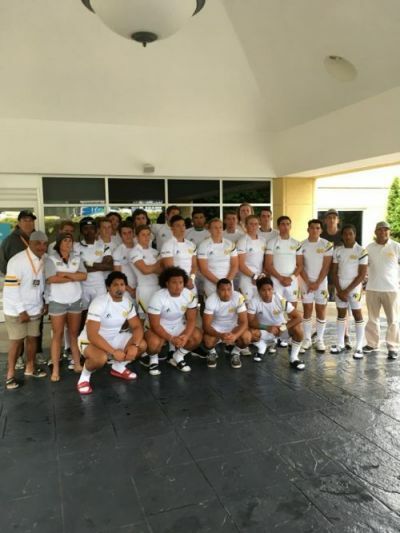 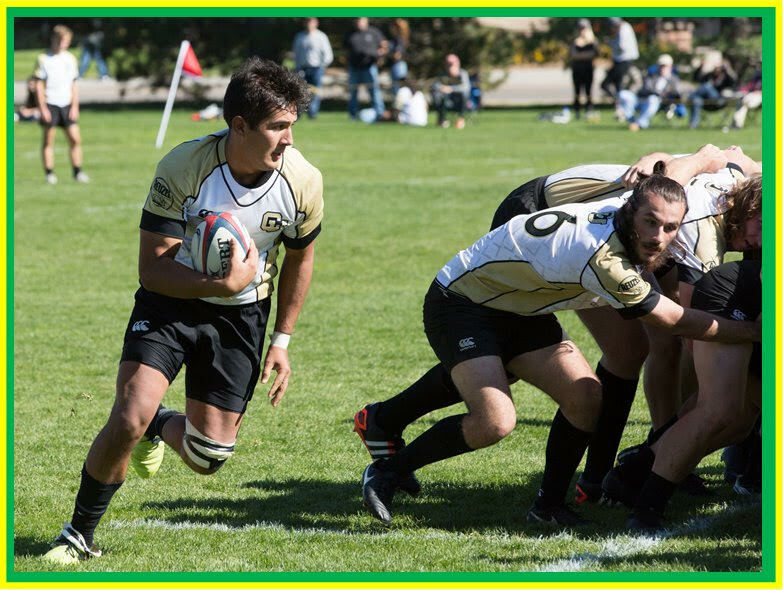 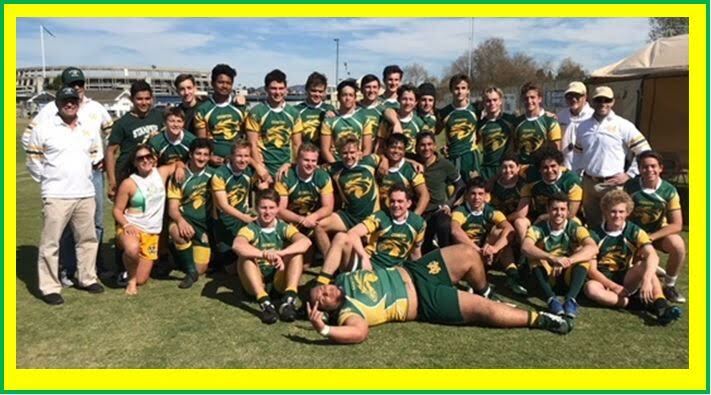 The Hornets played some excellent rugby. 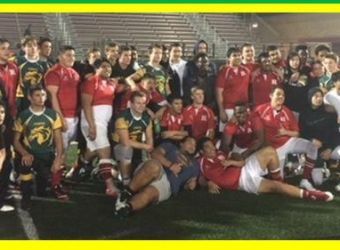 The Canadians employed some tremendous counter rucking which proved to be the difference as they managed to control the ball for the vast majority of the match. 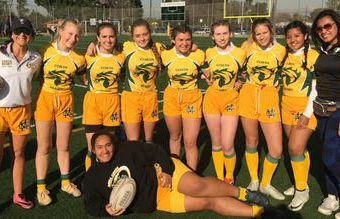 The first half saw the girls from Vancouver score 2 early Trys to go up 14-0. 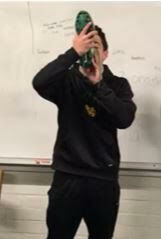 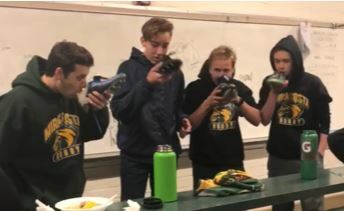 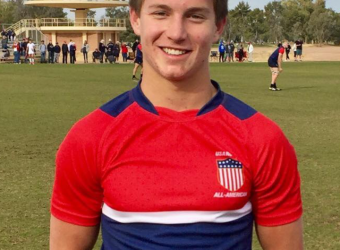 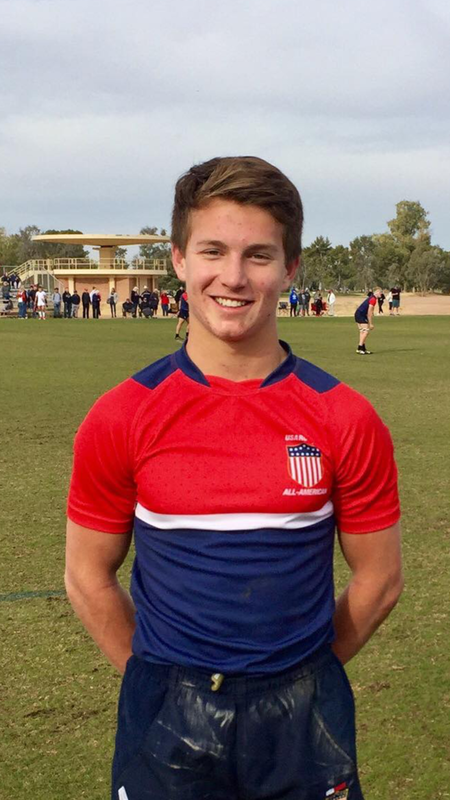 Howev­er, just before half, Costa Winger Ashley Brownsberger took a pass at full pace and blew through the Canadian defense for a 66 meter score. 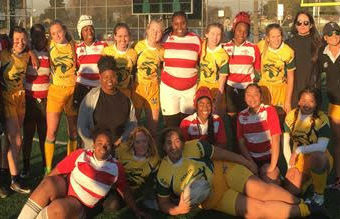 However that was as close as it got as the ladies from the Great White North poured on 4 second half Trys. 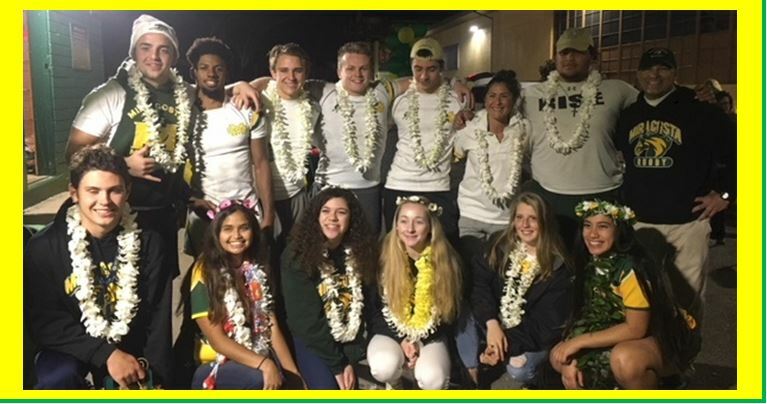 Following the match the Mustangs and Hornets exchanged gifts, had dinner and then went to watch the Mira Costa football team come from behind in the final minute of the game to beat a very good St. Francis team. 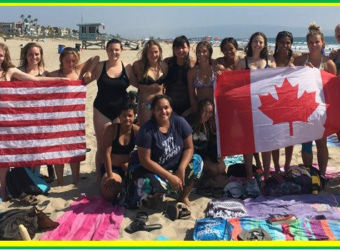 Following that the Canadians spent the night at some of the Costa girls houses. 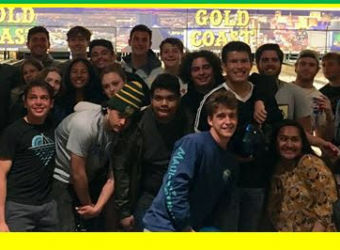 The next day after breakfast everyone went to the beach to play some touch, surf, swim, play volleyball and just enjoy each other’s company. That night it was the mandatory can’t come to LA without going to In ‘n Out for dinner. 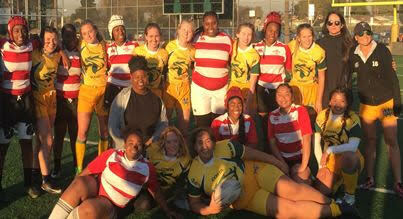 Well done ladies, that was a fine example of the Rugby Culture…hard play and great sportsmanship. 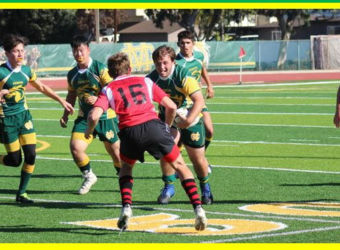 You Ride!